For anyone seeking silence and immense spaces, the alpine world of northern Sweden is a fulfilment. Up here north of the Arctic Circle lies the last wilderness in Europe offering world-class fishing for brown trout and char and even pike. Excellent roads with few cars, night trains, bus lines, international flight connections with SAS or Norwegian or charter all combine to make a fishing trip to Norrland a pleasure. The northern parts of Sweden can be divided on an east-west axis into two parts differing mainly in altitude and ecosystems and thus also in climate. The western area bordering on Norway comprises the Scandinavian alpine region, a mountain range extending more than a thousand kilometres from Dalarna province in the south towards the Treriksröset – Three Country Cairn – where Finland, Norway and Sweden meet. The highest mountain is Kebnekaise (2102 m). Most of the range lacks roads and has few or no residents. However, there are smaller communities in some of the alpine valleys with roads, some of which lead into Norway. 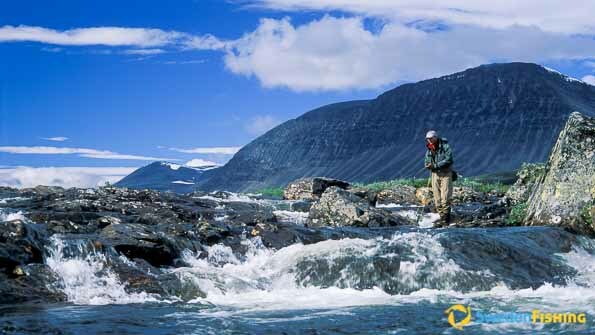 Everyone ought to have a chance to hike and fish in the Swedish alpine region. 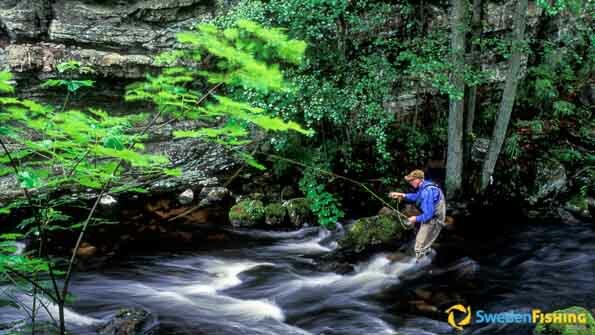 There are brown trout in many waters, both running and still. The largest fishes are caught in the latter or in streams that either empty into or run through larger lakes. They bite on many different lures, but for the giants, you need smaller wobblers or larger streamer-type flies. 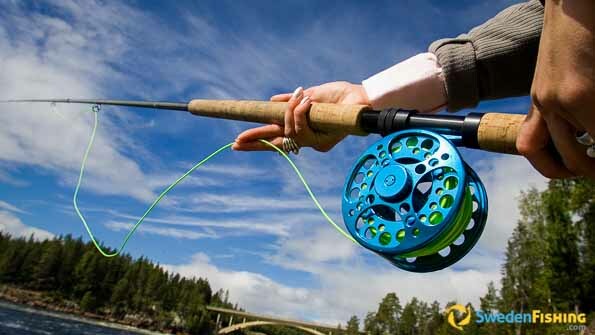 Those who do not fly fish can often use a light spinning rod. This can even be advantageous when the weather is down, with higher water levels as a logical result. Sven goes further: “Load your lure box set of small spinners and spoons in various nuances, some small wobblers in varied colours and add in some jigs.” Another tip is to replace all triple hooks with singles to make it easier to return the fish without wounding it. Below the alpine region to the east lies the forested plain reaching to the Gulf of Bothnia. It is crossed by a number of alpine rivers that empty into the gulf and up which both salmon and sea trout run. Some of the better known salmon waters are the Torneälven, Kalixälven, Kaitumälven, Byskeälven and Lödgeälven Rivers. Basically both fishes run up all rivers in northern Sweden, differing only in how high they go. Both leave the gulf in the early summer and continue from June into August. Thus July is the best month for salmon and sea trout fishing. At one time using worms in running water was a common method, but that is no longer legal. The reason is that the fish is usually hooked far down in the throat making it very hard to return it without damage.